Human activities are pumping excess carbon dioxide into the air; plants remove carbon dioxide from the air through photosynthesis and use it to fuel their growth. That neat equation has spurred hopes that a so-called “fertilization effect” of increased atmospheric carbon dioxide will result in increased plant growth and partially mitigate climate change. In fact, land plants and soils currently absorb about 25% of human-caused carbon dioxide emissions. But two papers published in the past week suggest that we’ve been overestimating the potential for increased plant growth to get us out of our climate change jam. In one paper, published 24 January in Nature, an international team of researchers used satellite images and four different computer models to assess the relationships between soil moisture, carbon dioxide fertilization, and the amount of carbon stored in the terrestrial environment . They found that in a high-emissions scenario, the amount of carbon stored in land plants and soils is likely to peak around 2060. After that, terrestrial carbon stores may decline, further accelerating climate change. The reason is that soils in most areas of the world will gradually get drier over the course of the 21st Century. 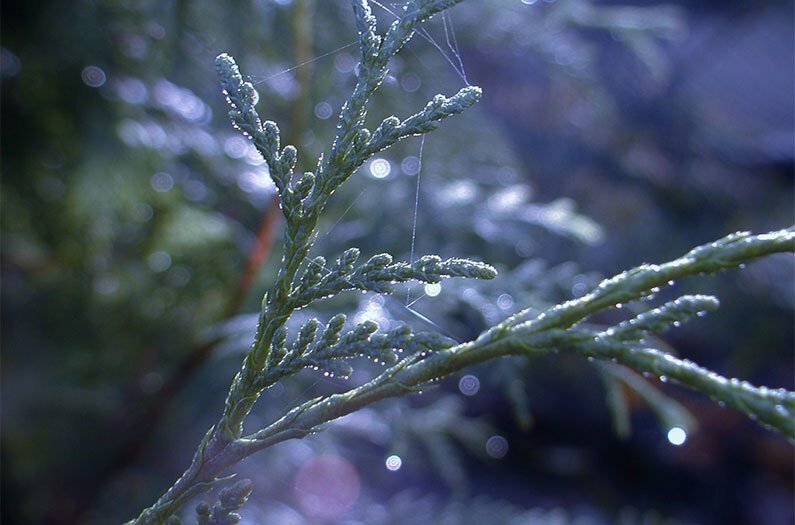 Photosynthesis drops sharply when plants are water-limited. Drought conditions can kill plants, and wildfires cause further losses of terrestrial carbon stores. The models suggest that plant growth during unusually wet years won’t fully make up for losses during unusually dry ones. Moreover, prolonged dry conditions can lead to the conversion of ecosystems that store more carbon, like forests, to those that store less, like grasslands. There’s very little real-world data to test the predictions that computer models make about terrestrial carbon stores. But that’s exactly what the second paper, published 28 January in the Proceedings of the National Academy of Sciences, offers . “Our study looks at processes acting up at a much more local scale, tracking changes over time in a single species, in a single place,” says study team member Étienne Boucher, a geographer at the University of Quebec in Montreal. Boucher and his colleagues analyzed 715 years of tree-ring data from some of the oldest denizens of North America’s boreal forest, white cedars growing near Lake Duparquet in northeastern Canada. They analyzed carbon and oxygen atoms in the trees to assess their physiological response to changing atmospheric carbon dioxide levels. Plants take in carbon dioxide and release water through small pores in their leaves called stomata. So, plants must often make a tradeoff between carbon gain and water loss. Boucher and his team found that boreal white cedars’ intrinsic water use efficiency – the amount of carbon assimilated per unit of water lost – has increased a whopping 59% since 1850. This increased water use efficiency should make the trees more resistant to drought. The findings suggest that mature trees, even ancient ones, have the capacity to acclimate to increased carbon dioxide levels. However, the researchers also found that the trees are not growing any faster than they did in the preindustrial period. That suggests that even though increased carbon dioxide levels may stimulate photosynthesis, this does not necessarily translate into increased carbon storage in above-ground biomass. “Carbon fertilization is ultimately much more complex than what vegetation models usually assume,” Boucher says. Image: Northern white cedar. Credit: Izee by the Sea via Flickr.